The professional GP community are all converging on Fargo, ND in US as I write this for the partner only conference, ReIMAGINE. We are all anticipating more detail on some of the teaser features for Dynamics GP 2016R2 that were released earlier in the year at the Amplify conference in LA. ReIMAGINE is also about helping the GP partners by equipping them with the necessary tools to sell the product, this area of partner support is receiving some specific focus during the course of this year. I would also expect a lot of conversations and content to be considering Dynamics365 that is the new branding/product used to wrap up the various business tools in the Microsoft portfolio into a coherent on-line cloud provisioned offering. Particularly noting the new kid on the block, Madeira, the online ERP offering targeted around the NetSuite market. 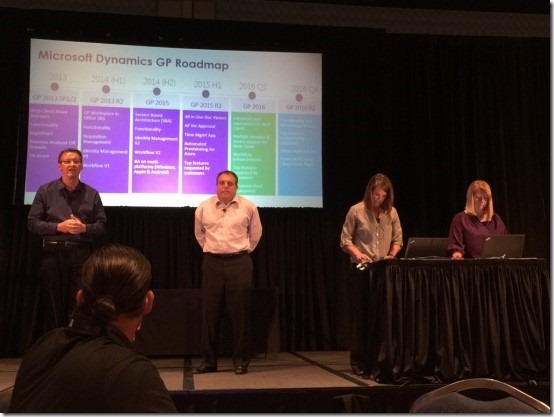 More information on the conferences for Dynamics GP can be found in this post Dynamics GP Conferencecs - which should I attend? So out of ReIMAGINE we expect more detail on what has made it into GP2016R2. The following list I am certain will have changed by this time next week and more information about what some of the bullet point features actually translate into will be known. No doubt there will be other unexpected announcements and some juicy stuff under non-disclosure that we will just have to wait for. Adjust customer balance calculation to use unapplied credit amount instead of whole credit amount. The message “Batch is being edited by another user”, is a classic message in GP, the problem is who is editing it? – there are people that have intercepted the message using GP add ins, to present an alternative message with the user name that is editing the batch. I guess this feature will bake that in into the core product, such a simple move that will remove so much frustration from users. One Drive is an online storage folder provided as a service by Microsoft. It has a programming API or can be used via web browser. Why use one drive for document storage as part of GP? There are two good reasons I can see. Firstly Dynamics GP can be provided as a service, over the internet via web browser, this means document storage needs to be shared too. Although document attach in GP allows documents to be placed into the GP database, this is not ideal for all circumstances, as many organisations will not be comfortable at using expensive SQL server storage for large document stores. It also locks the document away inside the database with a very limited user interface provided in GP to manage the documents. One Drive makes document management easy and open to online users with a rich user interface. The second reason is that some companies no longer have file servers for users. A growing number of distributed companies have moved this responsibility of the enterprise file system to One Drive. This makes sense if you have, say ninety offices around the country. Sharing documents is better placed in the cloud. Also expecting an updated GP product roadmap! I hope everyone enjoys ReIMAGINE 2016, and can’t wait to find out more about these kinds of new features and more!